Port Hudson, the rebel stronghold on the Mississippi, was attacked by the Union fleet, under the command of Admiral Farragut, last night. 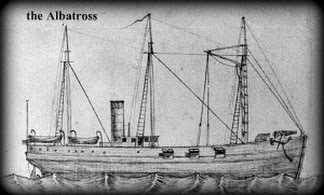 The result was a partial success, as the flagship Hartford and the gunboat Albatross succeeded in getting past the batteries, and are now, in all probability, blockading the entrance to Red river. The Richmond, Genesee, Mononguhela, Kineo and Sachem had to return, for reasons that will be fully stated in this letter. It was not intended that the vessels should pass. Among the casualties is the total loss by fire of the sloop-of-war Mississippi. But let me begin at the beginning. For some months past rumors have been prevalent in New Orleans, among Unionist and secessionists alike, of an intention to make a combined attack both by land and by water on the rebel stronghold of Port Hudson. 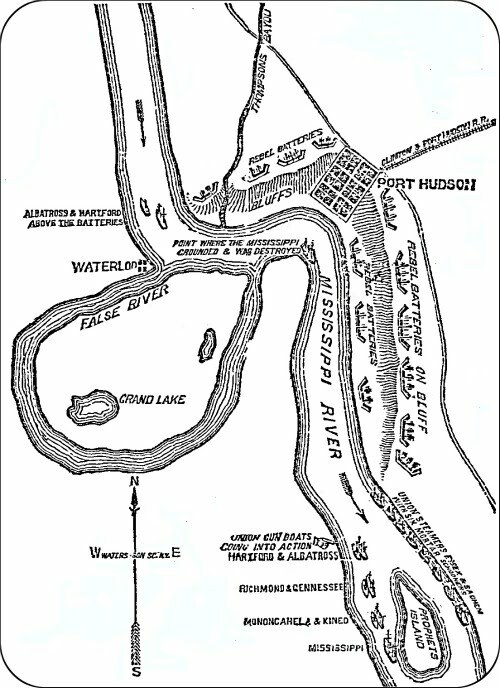 The reoccupation of Baton Rouge by a portion of the forces under Major General Banks, on that officer's taking command of the department, coupled with the advance of General Wertzel's brigade to Berwick Bay, together with certain movements of the squadron, seemed to give form and consistency to the supposition. The general demand of the people of the West, too, for the reopening of their great water highway for the transportation of their produce to the usual markets, and the absolute necessity for the removal of all obstacles to a traffic on which the prosperity of the United States mainly depends, strengthened the belief that an expedition on a large scale should be fitted out at as early a period as possible after the rising of the river, to destroy the blockade that has been so long maintained at Vicksburg, and for a shorter period at Port Hudson, and, by cutting off all communication by way of the Red river, and depriving the rebels of the supplies received by them through this source, break the backbone of the rebellion in the South-west and adjacent sections. This general expectation is in course of being realized. The post at Baton Rouge has been largely reinforced. But your correspondent at that place will inform you more at length than it is possible for me to do of the movements of the army in connection with the campaign just entered upon. It is my task to chronicle the doings of the naval arm of the service. Towards the latter part of the week ending on the 7th inst., it was pretty generally known in naval circle that the greater portion of the squadron at New Orleans was about to proceed up the river, and it was believed that the object was to co-operate with the army at Baton Rouge in the reduction of Port Hudson. 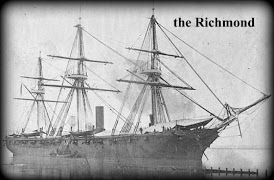 The first vessel to leave was the Essex, in consequence of her low rate of speed; and, as the Richmond is anything but a fast ship, the Admiral gave orders for her to be the next in motion. 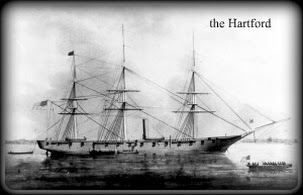 Accordingly we left on Monday, the 9th inst., at half past ten A.M. During the night while we lay at anchor, about forty miles up the river, we were passed by the Hartford (flagship) and one or two other vessels belonging to the squadron. As there was no hurry we anchored again on the following night, weighing by moonlight on the morning of the 11th, and arrived at Baton Rouge at half past one in the afternoon of the same day.